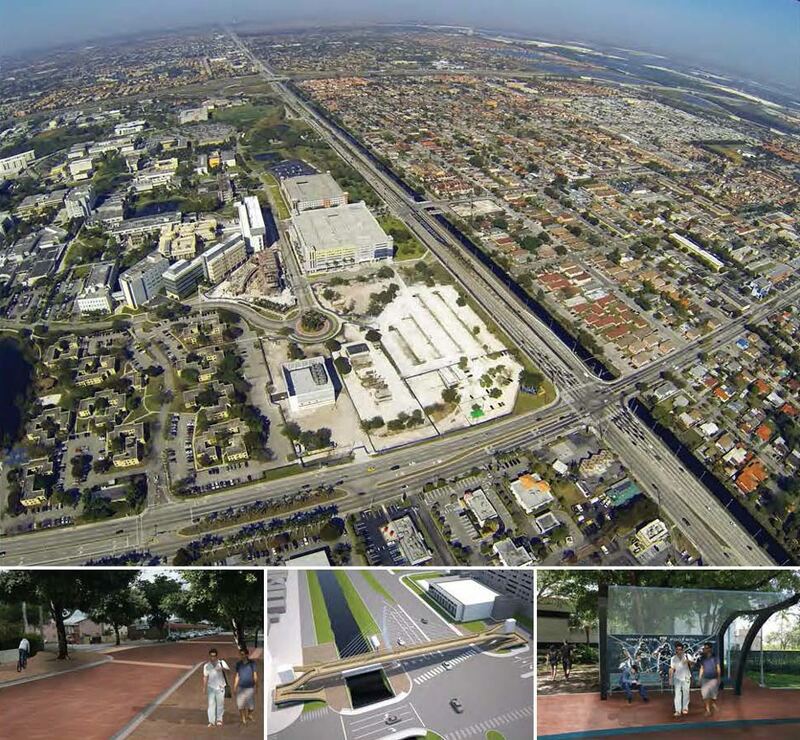 A multi-disciplinary team from Florida International University (FIU) was awarded an $11.4M grant by the US Department of Transportation to implement the “University City Prosperity Project,” which proposes infrastructural improvements in technology, streetscaping and transit to connect the town of Sweetwater with FIU. 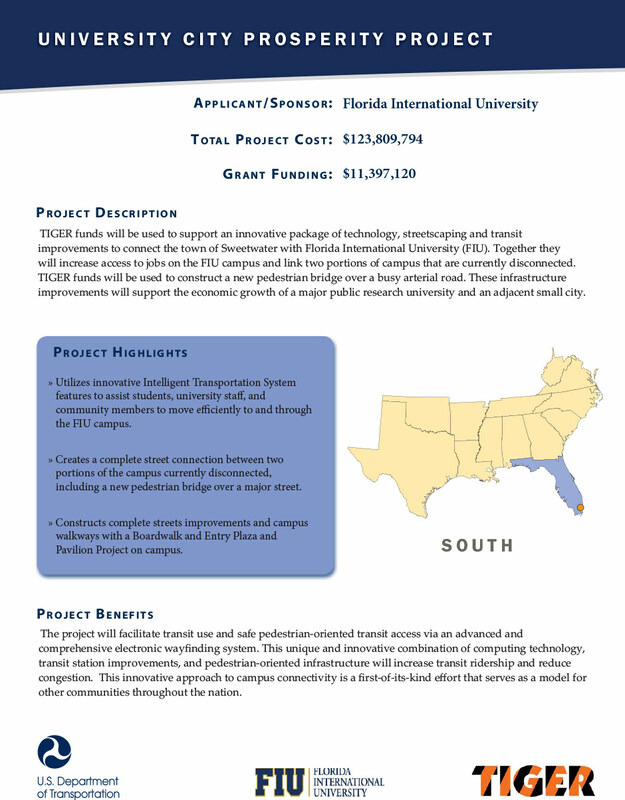 University City utilizes innovative Intelligent Transportation System features to assist students, university staff, and community members to move efficiently to and through the FIU campus. It additionally creates a complete street connection between two portions of the campus currently disconnected, including a new pedestrian bridge over a major street, and constructs complete streets improvements and campus walkways with a Boardwalk and Entry Plaza and Pavilion Project on campus. Full report available from the National Science Foundation Industry-University Cooperative Research Center for Advance Knowledge Enablement link.